Big B was one of the first celebs to mourn "Shammi Aunty"
Veteran actress Shammi, best remembered for her role in the Nineties sitcom Dekh Bhai Dekh, died in Mumbai on Tuesday, reported news agency ANI. She was 89. Amitabh Bachchan, who shared screen space with the actress in 1992 film Khuda Gawah, was one of the first celebs to mourn "Shammi Aunty" (as she was popularly known as) on Twitter. From Big B's tweet, it appears the actress may have been suffering from prolonged illness. "Shammi Aunty... prolific actress, years of contribution to the industry, dear family friend... passes away. A long suffered illness, age. Sad. Slowly, slowly they all go away," tweeted Amitabh Bachchan. Rishi Kapoor's tweet read: "Shammi Aunty bids good bye." Her funeral was held at Mumbai's Oshiwara cemetery, which was attended by celebrities such as Sushant Singh, Farah Khan and Boman Irani among others. 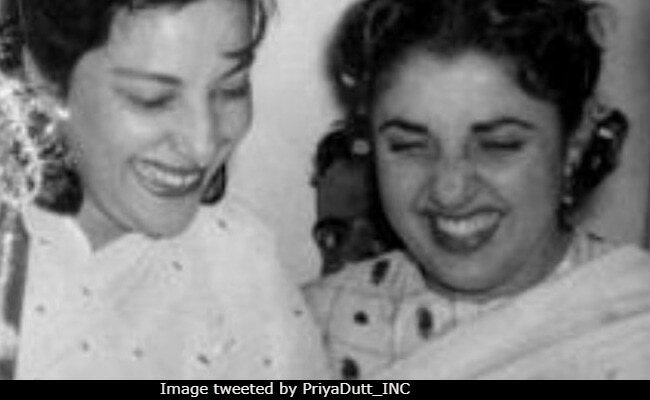 Politician Priya Dutt, Sanjay Dutt's sister, also remembered the veteran actress on Twitter. Shammi was a family friend of Sanjay Dutt's parents - Nargis and Sunil Dutt. "Shammi, aunty to me and a great actor of yesteryears, passed away today. She was my mother's dear friend and someone we all loved very much. May her soul rest in peace and her laughter and contagious smile rock the heavens. Be in peace with your friends," tweeted Priya Dutt. T 2735 - Prayers and fond remembrances for Shammi Aunty .. so dear to us as family .. lost to us today . It was in 1949 when Shammi, whose original name was Nargis Rabadi, made her acting debut with Ustad Pedro. In 1952, she also co-starred with Dilip Kumar and Madhubala in Sangdil, which turned out to be a dud. The actress then shifted focus to supporting roles and featured in several films with Rajesh Khanna (who was also her friend) in the lead - Aanchal and Kudrat are a few of them. Rajesh Khanna also helped her make her debut on television. TV series Dekh Bhai Dekh, which ran for a year after debuting in 1993, was produced by Jaya Bachchan and had Shammi play the role of "chhoti nani." Between 1990-2000, she also featured in other successful TV series like Zabaan Sambhal Ke, Kabhi Yeh Kabhi Who and Shriman Shrimati. Shammi was last seen in 2013 film Shirin Farhad Ki Toh Nikal Padi, in which she played the role of a Parsi woman. Miss India, Lahu Ke Do Rang, Coolie No 1, Arth, The Burning Train and Hum are some of her other works.